The 2018 IMSA Weathertech Championship will go down as one of the best seasons since the classic GTP era. Art cars are becoming quite normal these days, the trend started by BMW long ago with an Alexander Calder BMW CSL for LeMans. Early art cars were actually painted with paint; now the “paint” is a vinyl wrap. 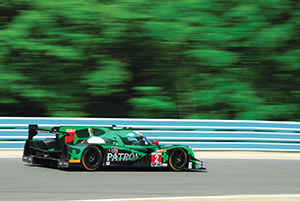 It was another great IMSA 6 hour race at Watkins Glen this past weekend. The main takeaway from the weekend was this: Wayne Taylor Racing’s Cadillac did not win (although another Caddy did win), BMW led from the get-go (and won), and the Acura NSX continues to show great pace (and won). Red Bull Global Rallycross New England was a great racing show, marred by some long breaks in the action. But when that racing was in session, it was REALLY, REALLY great! Thank you, Liberty Media, for purchasing the rights to Formula One. Bernie has needed to go for some years now.